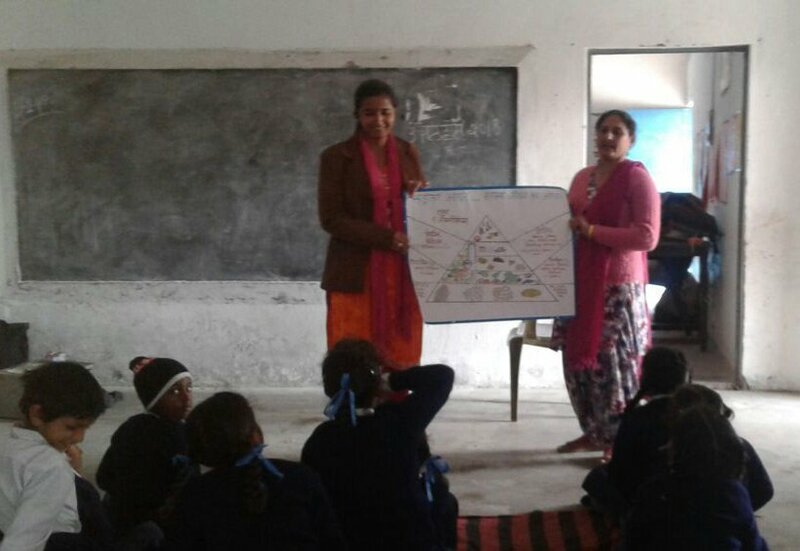 The village school in Maira, Punjab, invited Amrita SeRVe village coordinator and the Amrita SeRVe health worker for an awareness session in the school regarding health and cleanliness. Ms. Deeksha, the village coordinator and Ms. Rani, the health worker, conducted the session for the primary school children, educating them on the importance of hygiene, proper diet and yoga. A demonstration on the seven steps of hand washing, as prescribed by the UN, was shown and a session on oral health was given to the students. Students enjoyed all these sessions a lot and said they never knew hand washing, bathing and brushing would be so much fun.